Used Jaguar XF Review - 2015-present | What Car? 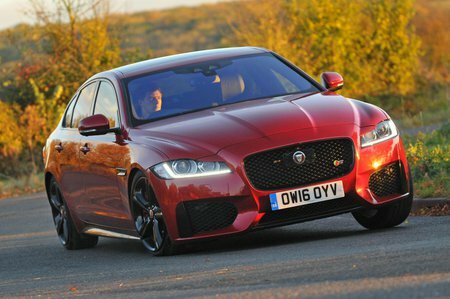 What's the used Jaguar XF saloon like? The Jaguar XF has long been something of a raffish choice for those seeking a smart executive car. This second-generation version follows in the steps of the original XF in offering arrestingly suave looks allied to a slick and rewarding driving experience. Luxury cars like this have to be smooth and relaxing to drive and, on this count, the XF certainly scores well. Even with the optional, larger wheels it’s suitably wafty, though you do feel a trace of the rippled road surfaces below you making their way through the chassis to your backside. XFs with 19in wheels or less seem to cure even this minor irritation, providing a thoroughly fitting level of comfort. 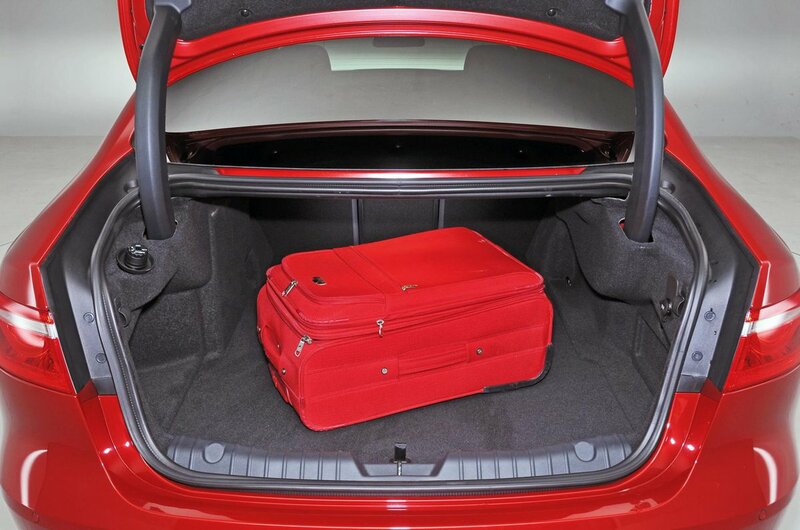 Happily, this comfort doesn’t come at the expense of handling. For such a large car, the way the XF can move through corners is little short of astonishing; the nose swings into corners the instant you turn the wheel, while the supple suspension damps out mid-corner bumps and allows the XF to glide fluidly from corner to corner with perfect control. Meanwhile, the chassis is beautifully balanced, and responds sweetly to your throttle and steering inputs. The result is a car that’s a delight whether you’re on a twisting back road, a fast, sweeping A-road, or a motorway. Inside, the XF could be just as impressive, were it not for a couple of flies in the ointment. Firstly, there’s the infotainment system, which has a few labyrinthine menus and doesn’t respond as quickly as it should; then there’s the build quality – some of the switchgear and a couple of the plastics feel a little cheaper than the equivalent rivals’. Fortunately, smart touches such as the knurled gear selector and the arc of wood veneer that stretches across the dashboard do a good job of distracting you. Space, meanwhile, isn’t an issue for any occupant – there’s more in a couple of its rivals, but you have to question whether you’d really need it. Engine-wise, you’ll find roughly the same selection here as you will powering rivals such as the BMW 5 Series and Mercedes-Benz E-Class – in other words, a 2.0-litre diesel in a variety of power outputs, and a smattering of petrol alternatives that offer power aplenty but with a thirst to match.